WISCONSIN RAPIDS, WI – United Way of South Wood & Adams Counties is currently accepting funding applications for programs that address the Education and Health areas of our Agenda for Change. Programs that receive funding in this cycle will receive a two-year grant for 2020 and 2021. Income and Safety Net Service programs are currently funded through 2020. Programs that wish to apply for United Way funding must go to our website atwww.uwswac.org and fill out an online application form. Completed application and uploaded supporting documentation must be submitted by 4:00pm on March 7, 2019. No late or paper applications/supporting documentation will be accepted. Please read the instructions and FAQs before beginning. If your organization is applying for multiple programs, you must complete the online application for each program. Please complete the first form before beginning the next. For any questions about the funding application, please contact Angela Loucks. 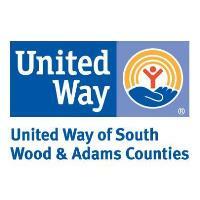 You can reach United Way of South Wood & Adams Counties at 715-421-0390.